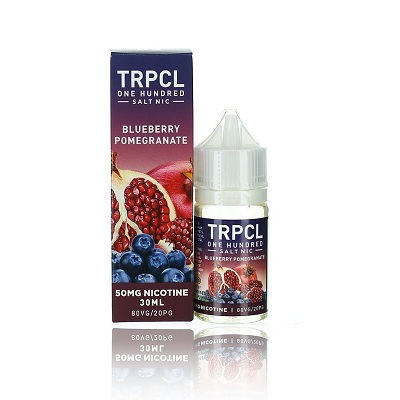 TRPCL One Hundred SALT NIC 30ML. It's tropical goodness bottled for your convenience. It's 100% island, 100% relaxation and 100% serenity. 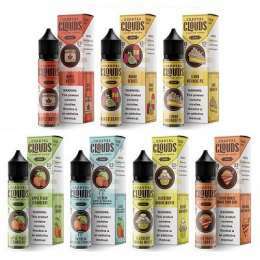 It's the blend of your favorite tropical treats and fruits so you don't miss a beat vacationing to your favorite tropical getaway through your mod. Aloha Gummy : is a burst of Pineapple and lemon lime that combines to make a sweet tropical gummy flavor. Blueberry Pomegranate: Get ready to love this new twist on your favorite blueberry flavor. 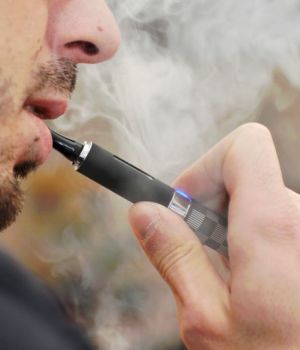 A sweet and sour E-Juice made in heaven: blueberries with a pomegranate twist. A juicy, mouth-watering experience that's sure to amaze. Blueberry Pom by TRPCL ONE HUNDRED is an all-fruity treat.